On more than a few afternoons this month I've stood at the bottom of Hilltop Ski Area, watching my son and his friends race to be first up the lift for the 3-9 p.m. after-school session. There's a lot to love about being on a ski hill this time of year — temperatures cold enough to hold the snow to a respectable texture, but warm enough that two tween-age boys could throw snow pants over school clothes and stay comfortable. But I also find myself reflecting back to my days as a 20-something working late-season lift lines of Pacific Northwest slopes and the cheerful hours spent high-fiving skiers and riders as they took advantage of long runs in lasting sunshine. Truly, there is nothing quite so delicious as spring skiing. Sometime between March and early April, a palpable shift occurs. Temperatures remain cold at night but warm enough during the day to make the ride to the top of the hill almost as enjoyable as lounging on a back deck in May. We ditch the goggles and put on sunglasses, turning our faces toward the brilliant, lingering light that only happens at northern latitudes. Blessed with a more productive winter for outdoor recreation than most recent years, Alaskans are enjoying extended opportunities at their local ski areas. From Fairbanks to Juneau, families are still able to spend a few hours schussing or shredding with the kids, with most areas staying open through mid-April. Eric Fullerton, director of marketing for Alyeska Resort, said in an email that cold temperatures and a stable snowpack allowed Alyeska to extend its season until April 23. "Due to colder weather this spring, we felt comfortable adding another week to the calendar," he wrote. "Our snowpack all the way to the base is significant, and this sunshine has provided some opportunities for fantastic skiing." Spring break found scores of Southcentral kids and parents gearing up and heading up the tram to take advantage of Alyeska's current 87 inches of snow at the top of the mountain, savoring runs all the way to the bottom, where the base still holds respectable coverage. Skiing or riding with kids is infinitely easier in the spring, with warmer temperatures making everyone more comfortable. Less time spent navigating the perils of cold fingers, toes, or noses means more time on the hill. But the sunshine and longer days play a role too, as Fullerton, father of three daughters, found out in a proud-dad moment. 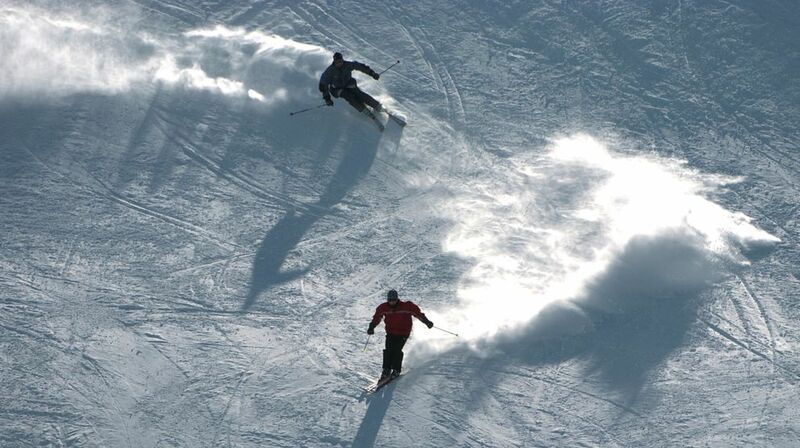 "I just love skiing together during these longer days in the spring. My 5-year-old was in the Mini-Mites (http://www.alyeskaresort.com/mountain/learning-center-mini-mite-program) program over spring break and we were amazed at the progress," he said. "So much so that we were able to take her on a double-black diamond (run) a few weeks ago. What a milestone, all of us skiing together for the first time." Down in Juneau, Eaglecrest Ski Area on Douglas Island has experienced more snow and a full season, in contrast to the last few years when warm weather and a lack of snow prevented the area from staying open. This year, says Jeffra Clough, sales and marketing director for Eaglecrest, "Spring skiing and riding is the best." "This time of year at Eaglecrest means fun," Clough continued. "It's great to get out and make turns in the sunshine and enjoy the spring snow conditions." Eaglecrest is focusing on two weekends of family-friendly activities before closing for the season April 9, and a full calendar of events can be found on the area's website. Meanwhile, Ski Land in Fairbanks, home of the farthest-north chairlift in the United States, is planning to stay open through April 16. Located on Cleary Summit north of town, Ski Land is an excellent option for families wanting to spend Easter Sunday together sliding down these scenic slopes. Open since 1962, Ski Land also has tradition on its side, with many parents who grew up skiing here now bringing their own kids. Aurora-viewing is also popular at the ski area, with the day lodge staying open 9 p.m.-3 a.m.every night. And what about Hilltop, Anchorage's neighborhood ski hill? 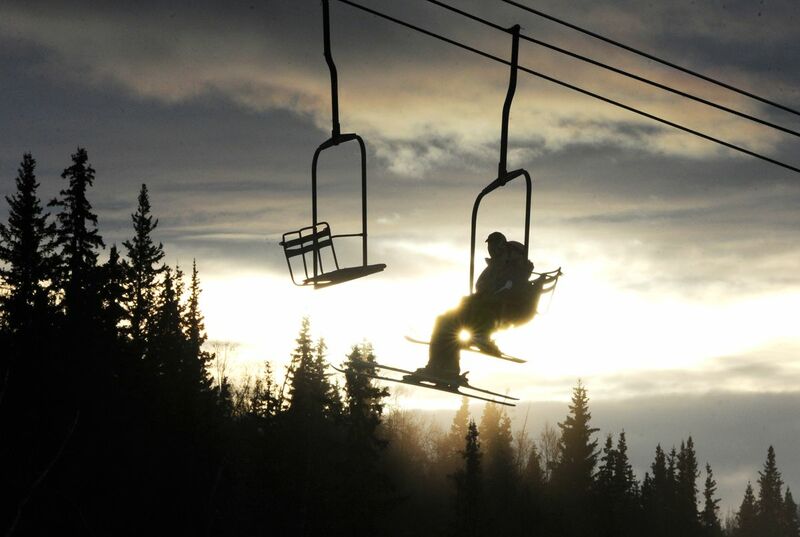 The area's hotline (907-346-2167) says the last day to ski or ride will be April 2. About 13 hours of daylight is washing over our winter-weary selves as Alaska moves into another season. Soon green, growing things will sprout, the ice and snow will melt for good, and our thoughts will turn to other activities. But for just a little longer, our family and many others will savor every chairlift ride and every turn from an Alaska ski season we've been waiting to have for a long time. As my son said on the way home the other day, sun-kissed and exhausted from five hours of uncrowded Friday skiing, "It can't get any better, can it?" Erin Kirkland is author of the Alaska On the Go travel guidebook series, and publisher of AKontheGO.com, Alaska's only family travel and outdoor recreation resource. She lives in Anchorage.